The party girl lifestyle she hid behind during her senior year led to an eye-opening stint in rehab. She never wanted her friends to know, especially her lost love, Daniel, who triggered her meltdown. Now, the thought of her high school reunion makes her cringe. It doesn’t take much to convince Marissa that she belongs back in Pamlico County with her friends. Their weekly girls’ night out adventures are better than any therapy. 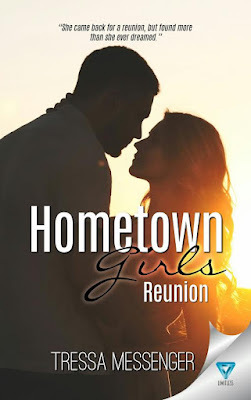 When Katie confesses she wants out of her marriage with Daniel to pursue an online relationship, Marissa knows she can’t leave her friend to struggle alone. It’s time their group reunited for good. Determined to prove she’s managed to get her life back in order, Marissa attempts to comfort Daniel during this difficult time. She knows too well the havoc a broken heart can wreak on your life. 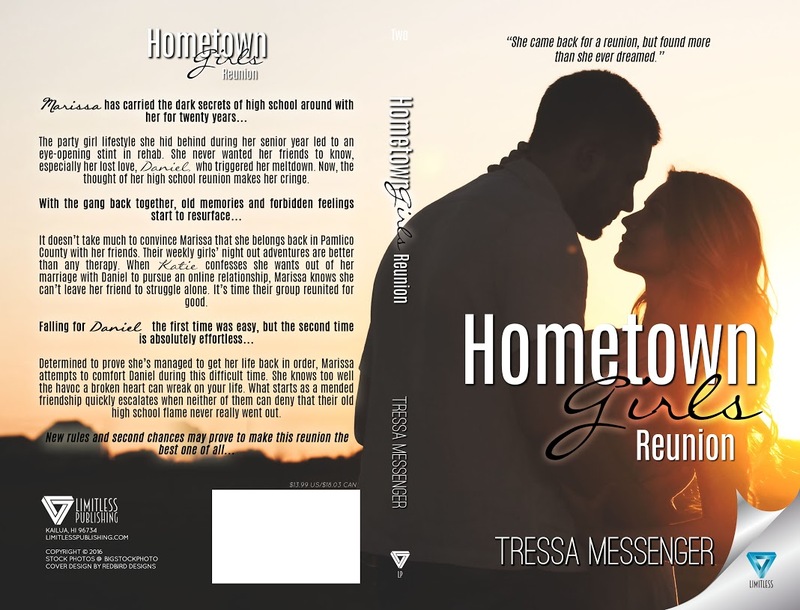 What starts as a mended friendship quickly escalates when neither of them can deny that their old high school flame never really went out. 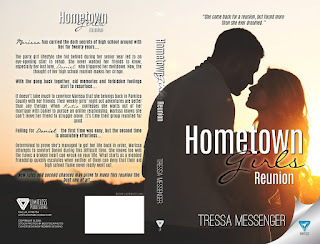 Tagline: She came back for a reunion, but found more than she ever dreamed. Hi, my name is Tressa Messenger and I am a seasoned health care professional in Polysomnography as well as an author. I am a small town girl with big dreams. I grew up in a small coastal community called Pamlico County in the town of Reelsboro North Carolina. Growing up in such a rural area there wasn't much to do, so I developed a wide fantasy finding solace in writing poetry and songs. After high school I left my little secure coastal town to discover other parts of the country. It was a sad and lonely time, but also a fun and exciting time in my life. I had too many emotions to process so I started to put it all down on paper. I have 4 indie books published as well as 3 books published through Limitless Publishing; a paranormal romance series (Protector, Protect Me, Protect Us and Dylan's Story), a murder mystery series(Too Close To Home and I'll See You Soon) and an epic love story (This I Promise You) and a contemporary series which is being released June 7 and July 5( Hometown Girls: New Beginnings and Hometown Girls: Reunion). All of my books can be found at amazon.com or any electronic book site. I live outside of New Orleans, LA with my amazing husband and daughter..